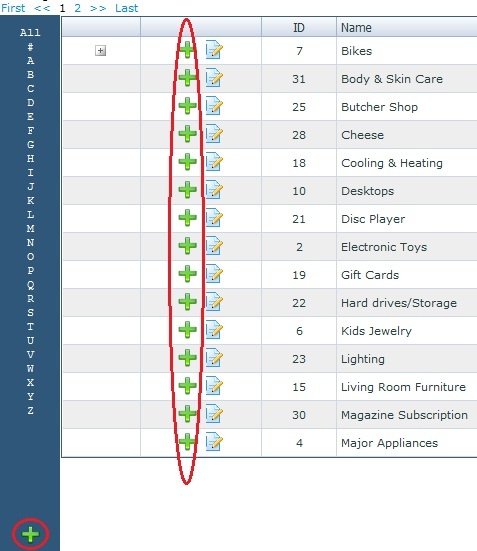 To create a category, click one of the green plus (+) buttons on the grid view. The + button at the bottom of the page will add a new category. The + sign button next to an existing category will add a new subcategory under that one. For an explanation of all of the fields that can be set for each category, see here. To assign a product to a category, open that product under Products -> Manage Products, open the product in the grid view and click on the Mappings tab. Check the desired category/categories and click Update.